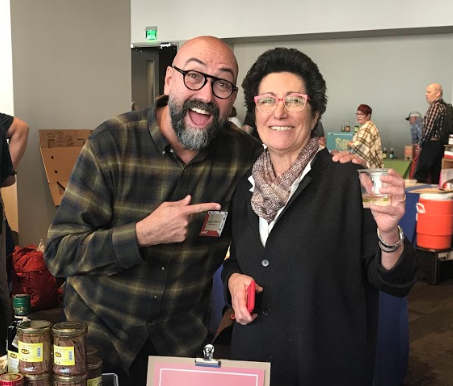 Our first dispatch from the Good Food Mercantile of 2019 includes interviews with Beatrice Ughi (Gustiamo), Rolando Beramendi (Manicaretti Imports), Dave Yourd (Regalis Foods), Luke Schmueker (Shacksbury), Suresh Pillai and Carrie Dashow (Atina Foods), and Ethan Frisch (Burlap & Barrel and host of Why Food?). All of these professionals use their platforms to promote the global exchange of food and ideas – from anchovies and caviar – to turmeric and black urfa chili. They put in long hours and hard work to preserve global food cultures and help eaters discover their new favorite ingredient or delicacy! Atina Foods) Beatrice Ughi Burlap & Barrel carrie dashow Dave Yourd Ethan Frisch Good Food Mercantile gustiamo Luke Schmueker Manicaretti Imports Regalis Foods Rolando Beramendi shacksbury Suresh Pillai Why Food?